This stunning display of light splashed across the sky is a product of severe solar wind lashing against Earth's protective magnetic shield. Changing conditions in space due to solar activity is known as space weather and some days it 'rains' electrons and protons. 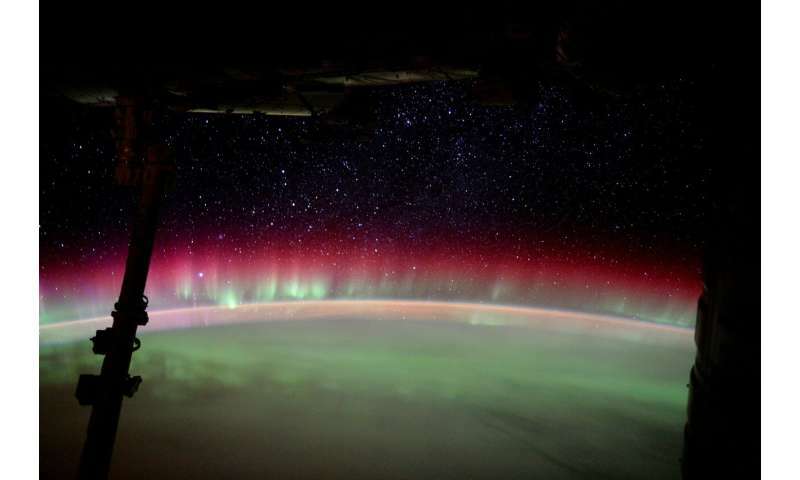 Geomagnetic storms can affect the vital systems on which our modern societies depend, such as satellites, communication networks or power grids. We cannot control our sun, but timely alerts – like those to be enabled by ESA's future Lagrange solar warning mission – will allow civil authorities and commercial actors to take protective measures, helping minimise economic losses and avoid a disaster that could affect all of us. Advance warning of an oncoming solar storm would give operators of satellites, power grids and telecommunication systems time to take protective measures, sometimes as simple as turning off the devices.